Are you ready for Andy Bell and Vince Clarke?? 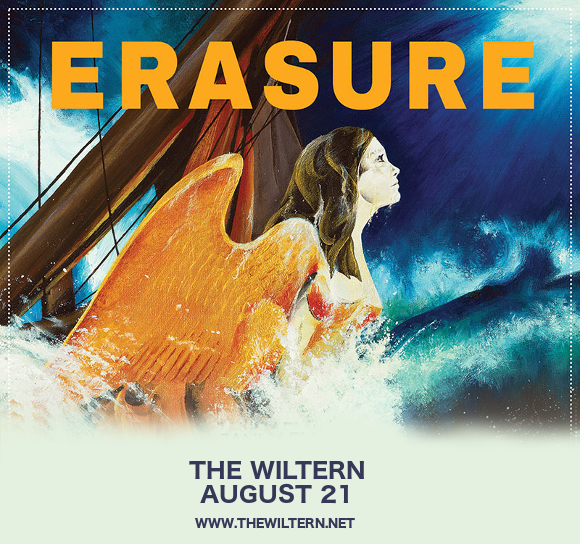 That’s right, the legendary synthpop duo ERASURE are back in 2018 in support of their brand new album “World Be Gone.” They’re coming to The Wiltern on Tuesday 21st August 2018 – 80s fans can’t afford to miss it!! Grab your tickets now and get ready for an incredible show!! Charting in the top 5 of the Billboard Top Dance/Electronic Albums chart and charting highly in multiple other countries too, “World Be Gone,” has shown that the world still craves Erasure’s essential synthpop sound. Following his work with Depeche Mode and Yazoo, Vince Clarke formed erasure with the iconic pop star Andy Bell, establishing themselves with their debut single "Who Needs Love Like That”. Get ready to hear all the new sounds from Erasure live – have you booked your tickets yet? ?